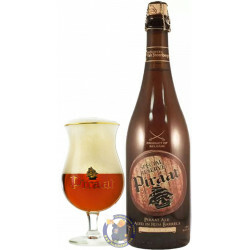 Piraat Special Reserve (Rum Barrel Aged) is brewed at Van Steenberge brewery. 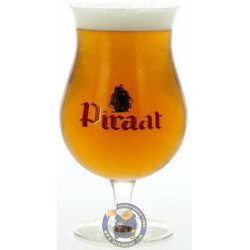 Brewed in honor of the original seafarers of the 19th century, Piraat Ale seemed destined to be aged in Rum barrels. 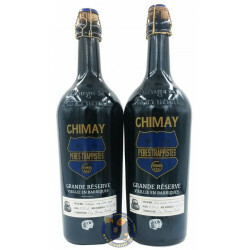 The Belgian classic and perennial gold medal winner is aged in barrels for the first time since it’s inception. 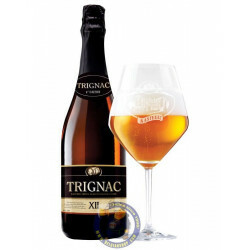 At 10.5% ABV the beer has a large malt profile which produces flavors of country bread and dried fruits. Due to secondary fermentation in the bottle, Piraat has always been regarded as one of smoothest strong golden ales ever brewed. 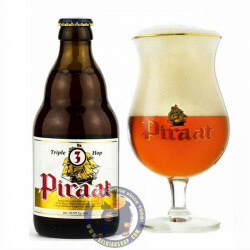 By aging it in rum barrels the beer picks up vanilla accents, which further rounds out the beer without overpowering the spicy quality which has made Piraat famous. Corked & caged bottle poured to snifters showing a hazed, orangey/gold color, with a froth layer of off white head foam, and a bubbly ring & spots of lacing. 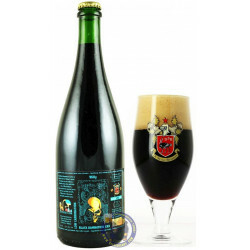 The nose was malty sweet, spice, dried pit fruit, and subtle hints of barrel induced vanilla & coconut. Medium+ bodied, with fair carbonation, the taste was similar notes, noticeable rum presence, and fruit & tannic bitterness. A smooth & warming Golden Strong.